Let me start this review by saying I am a dog lover first and foremost. My shih tzu, Sassy, is the center of my world, but my little one is a dickens and I love her for everything that’s good as well as everything that she does that makes me want to tear my hair out - on the rare occasion. 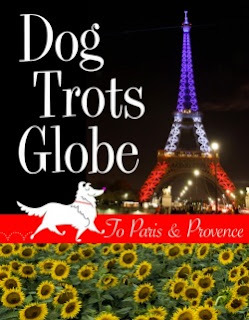 With that out of the way here’s my review of DOG TROTS GLOBE - TO PARIS & PROVENCE by Sheron Long. Introducing Chula: The nine year-old Sheltie and star of Dog Trots Globe - To Paris & Provence. 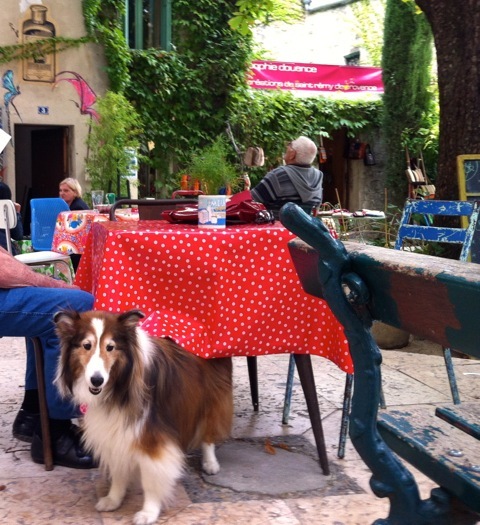 It’s a dog’s life for Chula as she jets from Carmel Valley, California to Paris, France and Bullet trains down to Saint-Remy-de Provence. 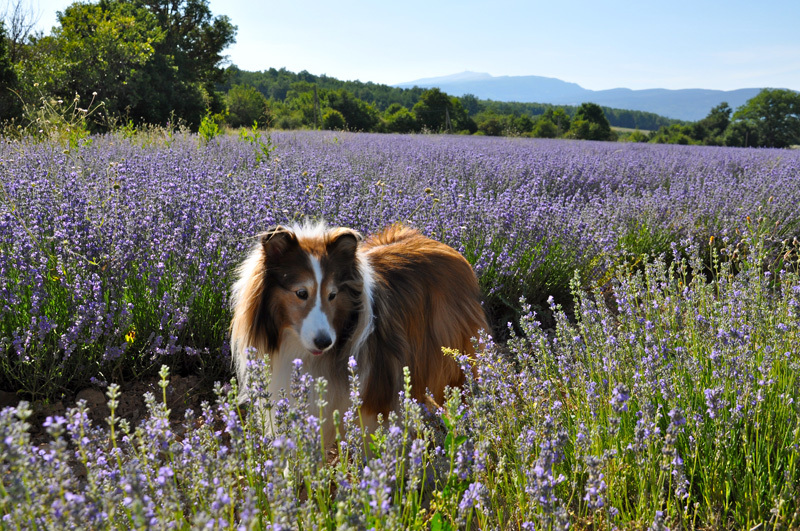 Chula’s owner capture’s the four-legged pup’s point of view in the narrative and scatters within the book over one hundred and fifty delightful photographs. 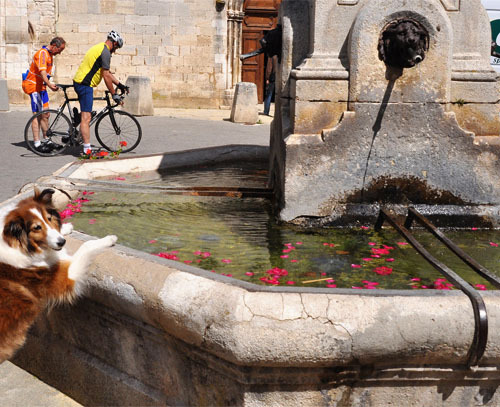 The pictures document Chula’s incredibly good behavior, while at the bistros playing with doggy waiters and eating croissants and those rare mischievous times when she gets in the path of three-thousand sheep. But remember, she is a well-behaved canine, unlike others we know. 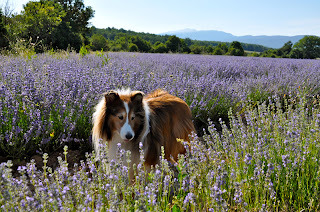 While reading Dog Trots Globe - To Paris & Provence, I tried to imagine my Sassy obeying my commands like Chula as we traveled the world, with no success. But then I looked down at her quietly sleeping by my feet as I wrote this review, and I knew in my heart I was so incredibly blessed to have her. All of us with our dogs are. And I believe that is the message for anyone who has a pet or is thinking about getting a pet. Pick up Dog Trots Globe - To Paris & Provence and your life will be fuller. It’s a perfect holiday gift! For additional information on Chula's continuing adventures, including a fun contest, please visit her Facebook page and discover fun contests and free ebooks. What fun this would be! But then my Koko (the kat) doesn't go bye-bye, so we would write a very very short story indeed! Thanks for the review!